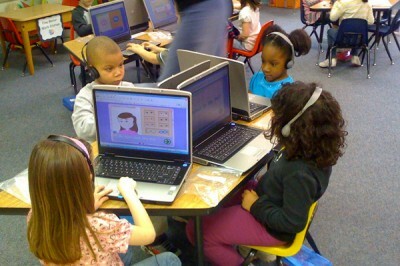 At TechCrunch Disrupt 2011, Imagine K12 unveiled the 10 startups in its first class. Imagine K12 is based on the Y-Combinator investment model and is led by Tim Brady, Alan Louie, and Geoff Ralston. Imagine K12 incubates and mentors the startup ideas for three and a half months and provides a seed of $25,000 for a graduation present. The way we see it, the 10 hatchlings break down into three main categories: Analytics, Community, Content. Eduvant: Data integration and anlytics dashboard for schools. From their TechCrunch presentation, the dashboard includes some nice datavis and infographics to help administrators quickly parse numbers. The Eduvant platform is open source, so developers can go buck wild creating customized apps depending on school district needs. The co-founder says they already have two districts with 60,000 students onboard for the pilot and translates to $130,000 in licensing revenue. Don’t bother going to the website, it’s blank. Formative Learning: Free. This one is for training teachers. Plans to take teacher evaluations out of the dark ages. Formative Learning aims to provide data-driven teacher performance analytics and targeted training in areas “needing improvement.” To make money, the company takes the data they’ve collected on teachers and creates a targeted marketplace of books, training, and other premium content. If money is interest, the company says they already had $350,000 in contracts before they launched. Not bad for a $25,000 investment. Remind101: Free text messaging service for teachers to communicate with students and/or parents without using actual numbers. Teachers can create groups for their individual classes and send group messages like, “Reminder: Algebra assignment due Monday,” or “Your kids have a field trip next Wednesday.” We like the ability to schedule messages like Hootesuite. Nice little tool to provide an additional means of safe communication outside of classrooms, but we’re really not sure we actually see much utility on this one. In the terms of service, the company says, “may contain links to third party websites.” Read: text ads. Like many of the other startups they also hint at future premium content. ElevenLearning: Freemium. Online e-textbook reader. For students, free and moderately priced textbooks. Students pay for premium textbooks versions. Drawbacks: When I tried to leave notes in the text, they inexplicably disappeared. Currently, they only have four books, so if your class is using one of these four books, you’re in luck. Otherwise… For educators that want to publish an e-textbook, ElevenLearning proposes an interesting model for peer-sourced critical review and up to 25% royalty. Only legit educators need apply. Clearly, ElevenLearning aspires to become an educational e-publisher. GoalBook: (Gamification) Beta, Free. This looks like a really promising platform for bringing the social aspects of Facebook into education, complete with game mechanics like stars for accomplishments and status updates. GoalBook looks like it also integrates an intuitive interface for teachers to track Individualized Education Programs, which vary from student to student. Teachers and parents can all collaborate and track a child’s progress together. Opportunities to create revenue streams on a platform like this abound: See Facebook, think premium content like apps, lessons, special features. ClassConnect: Freemium. This is like DropBox for education, on steroids. Teachers can create complete lectures with online resources through drag and drop interface to multimedia. Brings in tools like Google Docs and a sort of Keynote for teachers. Looks like all content shared with students is also hosted through the cloud-based interface and also strips ads. The platform appears to be free, but from the Terms of Service, I’m sure their Imagine K12 overlords will be pushing for a roll-out of prepackaged premium lessons and content. They’re in 1,000 classrooms. BrainNook: (Gamification) Freemium. Aimed at grades one to five, these are a collection of educational exercises camouflaged as a gaming world with gaming mechanics. For parents out there, it’s like WebKinz or Poptropica meets the California State Board of Education standards. Importantly, there’s a “report card” section for trad. parents who want to actually keep track of what their kids are actually learning. Subscribers get access to more “worlds”, more character outfits, and the like. For parents, the incentive would be additional educational games. Premium starts at $4.99/month to $30/year. TutorCloud: Hourly fee. 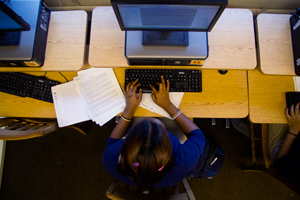 Online tutoring from nice education brands like Stanford and Cornell. They say they provide tools for tutors to help kids learn online. Looks like it is run in tandem through Skype. Includes a place for community reviews of each tutor, although some are marked “friend”— at least they’re transparent. A quick search for a writing tutor gave a range of tutors from $15 (Georgia Tech) -$35 (Yale student). They say their top tutors make thousands of dollars a month. Here’s the PR description of the first “cohort” at Imagine K12.